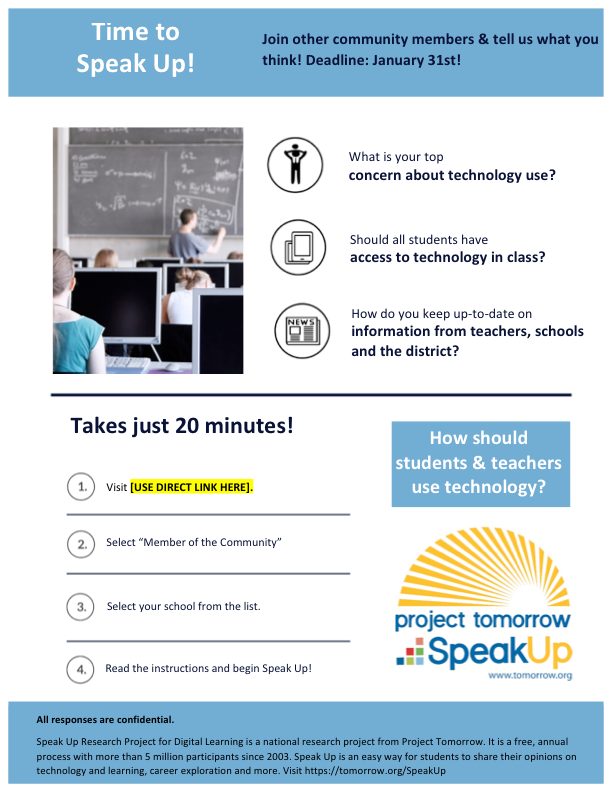 This informational flyer should be used to create awareness about Speak Up and generate participation among your community members. The flyer provides simple step by step instructions for community members to access the online questions and share their views. The flyer can be shared with school/district partners like local businesses, nonprofits, after school organizations, etc. Flyer can be edited to include your school/district specific information.